Feeling guilty of starting and quitting more exercise programs that anyone would want to remember? And, when we finally decide to start exercising, that little voice in our head says we are tired from doing all the household chores. Sounds familiar? The last thing to do right now is some tedious, sweaty exercise. 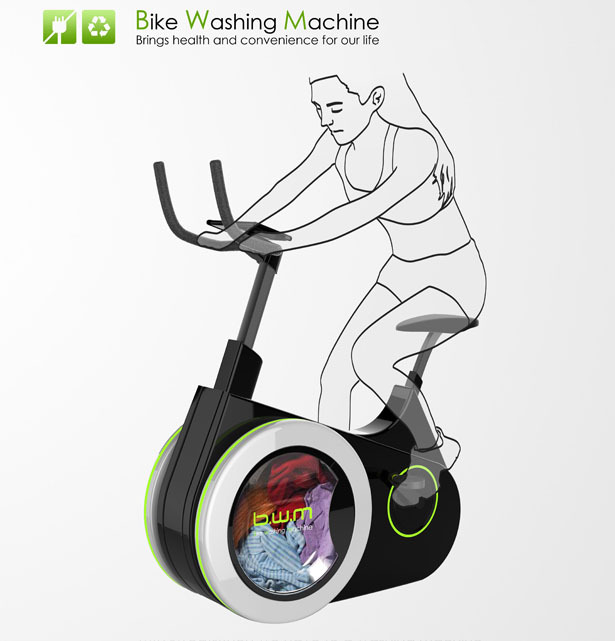 But, what if you can do your laundry while exercising? 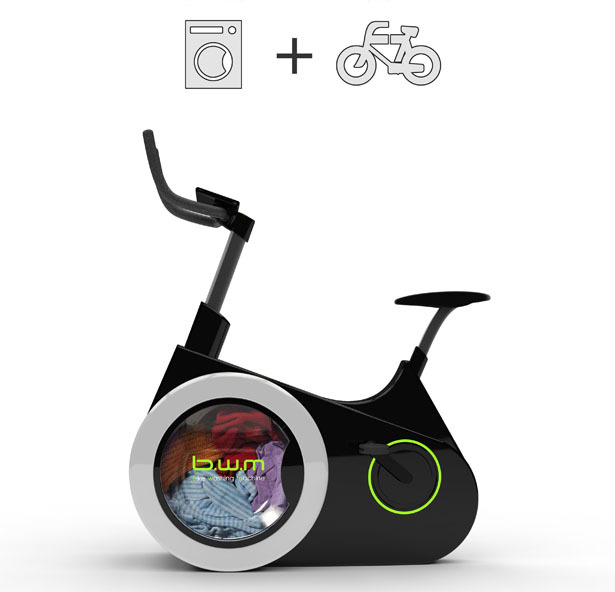 Turns out, students in China from the Dalian Nationalities University have just invented a bike the washing machine that allows you to do both activities at the same time. How awesome is that? This incredible invention helps you to free up your time, forever leaving the days of going to the launderette and waiting for your clothes to wash and dry. That means that you will save some money too, and that’s a huge plus. What’s more, the bake washing machine helps you to conserve water, thus helping you to save the planet. 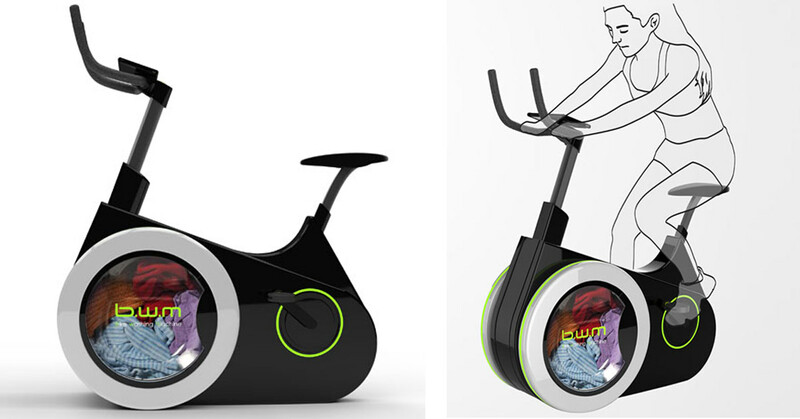 This creation is a combination of a washing machine and stationary bicycle. When you pedal, you actually make the washing machine drum to rotate. This, in turn, generates extra electricity that can either be stored for future usage or used to power the display screen and give you stats about the wash cycle process. This revolutionary bike is still a concept, so some things need to be revised. For example, the creators should give details about how we would load in the detergent and water. Also, it’s still unknown where the clean clothes would drain? And, one more thing to consider – once you finish pedaling and doing your laundry, you might have to go back on the bike to wash the clothes you’ve just made all sweaty. 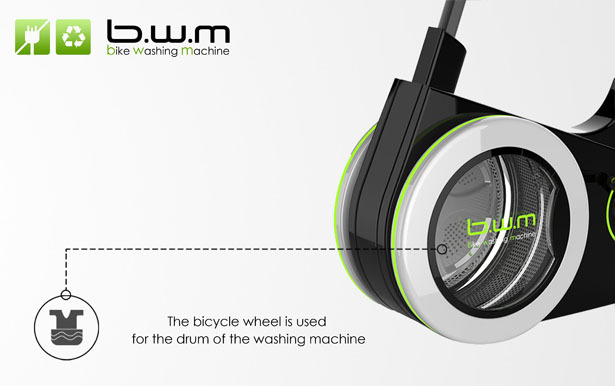 What do you think about the bike washing machine? Would you like one in your home or you prefer the traditional way of doing laundry?